For those of you who are new to 52 Weeks of Health, please start at the beginning. So…time to take that first step, and wonder of wonders, it is not depriving yourself of anything. In fact we are going to add to your diet, not take away. One of the reasons we overeat is our bodies are craving nutrients we don’t give them. So let’s feed that starving body! The most nutrient dense foods are the green, leafy vegetables. Your assignment this week is to try to get at least 2 servings per day of these powerhouses. The list below includes the most available and nutritious of these vegetables. I have linked them to their information on The World’s Healthiest Foods site so you can read more about the benefits of each. 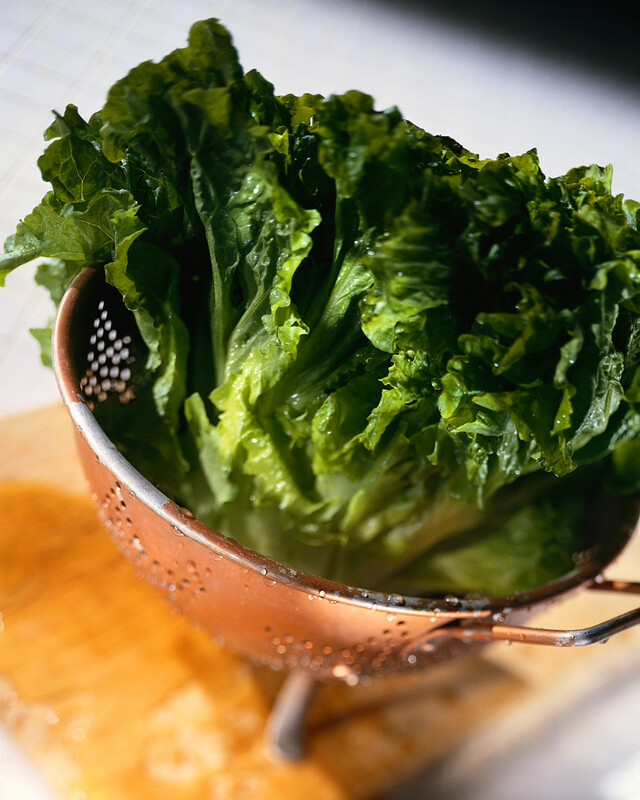 What is one serving of green leafy vegetables? In the coming days I will detail some of the studies that point to the amazing powers of these vegetables. I will also give ideas for sneaking them into your diet, or for making them the star of the show (for those of you who love them). Because the nutrient content does vary from green to green, try to eat a variety of them to get the most benefit. Warning note for those on blood thinners: Because of the high vitamin K (a regulator of blood clotting) content of most of these vegetables, you should not change the amount you are currently eating without talking with your doctor first. Most of the time they can monitor you as you slowly increase your intake of greens and adjust your medication accordingly. These vegetables are too important to skip, but please first inform your physician you would like to do it. Do you have suggetions for ways to increase the intake of these important vegetables? Please share them in the comment section! ha! I knew there had to be a reason I was craving steamed broccoli lately! Now if I can just ditch the butter :D I’m learning to…..a little salt is almost as good! Actually, Sue, I have come to believe that you should not skip the butter (and make it real butter from pastured cows). You will find you stay satisfied a lot longer and not as tempted to binge on processed high carb food later on. I’ll talk a lot more about this in coming weeks. If you can’t consume your veggies by chomping them, drink them! Juicing is a great way to get them into your diet. And to add a thought to Sue’s comment, add a splash of balsamic vinegar or raw apple vinegar to your veggies if you need added flavor OR I like Spike seasonings or even a dried spice; like, ground rosemary. I like butter (real butter too! ), but coconut oil could be an option. I don’t know what your research has proven of Coconut oil, RoseAnne. So, I would love what is out there for that. I learned from Weight Watchers …years ago..to dip my fork into the dressing or oil, then pierce my food to eat. Generally, your fork will just have a “taste” of the dressing on the fork, instead of the dressing/oil all over your food like we generally “pour” over. Hope that is helpful! Great blog RoseAnne!! I’m a big fan of coconut oil too, Laurie. I use it for lots of things, including making my own mayo. I will talk a lot about what I view as very healthy fats in the future (and soybean oil – the oil used in most commercial dressings – isn’t one of them). My favorite fats are high-quality olive oil, real butter, coconut oil, and other nut oils. Canola oil is a very last resort if none of the others are available. Definitely no corn oil, soybean oil, Crisco, or other vegetable oils. Just as an added plus to the green leafy veggies–they are high in lutein–and lutein insufficiency is a huge factor in macular degeneration. I love cabbage stir fried in a very minimal amount of olive oil (sometimes I just do it a couple tablespoons of water), and sometimes grate up a carrot to add to it along with some onion. I like to sprinkle soy sauce on it as well–is that a bad idea?? Does anyone have a good recipe for a healthy homemade coleslaw dressing? Thanks for sharing, Ann. I will try to work on the coleslaw dressing recipe. Currently, I make my own from mayo (usually my own homemade also) and various other things, but I haven’t standardized anything. I just throw in ingredients that appeal to me at the time. This is how I have usually done my cooking. I’m finding I have to start standardizing in order to share with all of you. Could you like put the veggies in your smoothies? do you have any recipies?